What would winter be without some gingerbread cookies? December baking for the Christmas festivities and for gift-giving has to include some form of gingerbread cookies, whether they are snaps or iced treats cut out in seasonal shapes. I like both and make them every single season. There is nothing like the aromas that permeate the house for the entire day after I’ve baked dozens of these cookies. 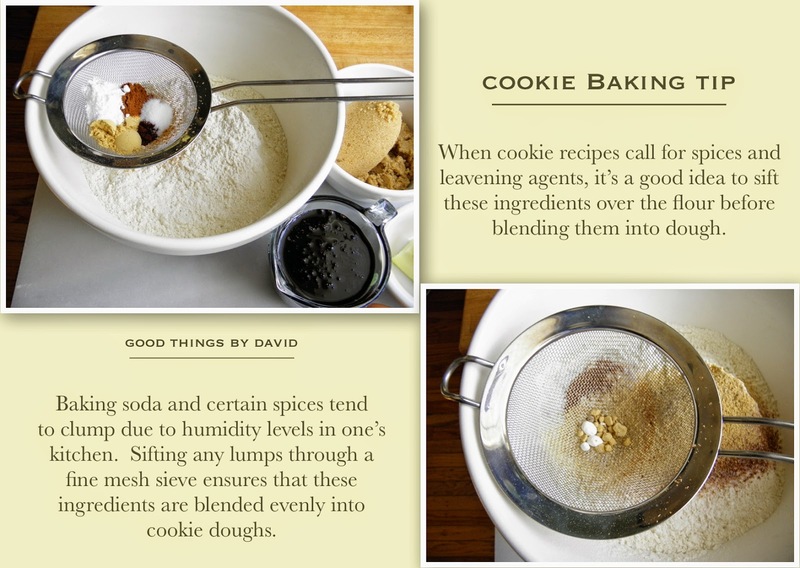 I’ve shared a Gingersnap Cookie recipe with you already, but I haven’t developed a gingerbread cookie formula until now. I’m so glad I did, because we all need a reliable recipe to go back to year after year. The dough that I’ve developed has all of the flavors we’re after, but nothing is over-the-top or overpowering. The cookies aren’t exactly sweet, since the recipe only calls for one cup of light brown sugar, but with the addition of unsulphured molasses (don’t use blackstrap), the gingerbread will be what you want it to be. You can leave the cut out shapes just as they are or you can enhance them with a sprinkling of sanding sugar or some Royal Icing with great success. Keep in mind that gingerbread dough is almost always a challenge to roll because it is quite soft, but with proper chilling and rolling between pieces of floured parchment, this task can be done without any problems. Now is the time to bring out those cookie cutters in the shapes of snowflakes, cottages, candy canes, snowmen, gingerbread men & ladies, trains, sleighs and ornaments. Bake these cookies by the dozen and give yourself ample time to decorate each one wherever your creativity takes you. Yield: approximately two dozen 3-5” cookies. In large bowl, measure out the flour. With a sieve set over the bowl, sift the spices, baking soda and salt into the flour; whisk to combine thoroughly. Set this aside. In the bowl of your stand mixer, cream the butter on medium speed until malleable, 1 minute (A). Add the light brown sugar and continue beating on medium speed until light, about 3-4 minutes (B). Add the egg and beat until combined. Stop the mixer and scrape down the bowl and paddle at least once during this process. Add the molasses on medium-low speed until combined (C). 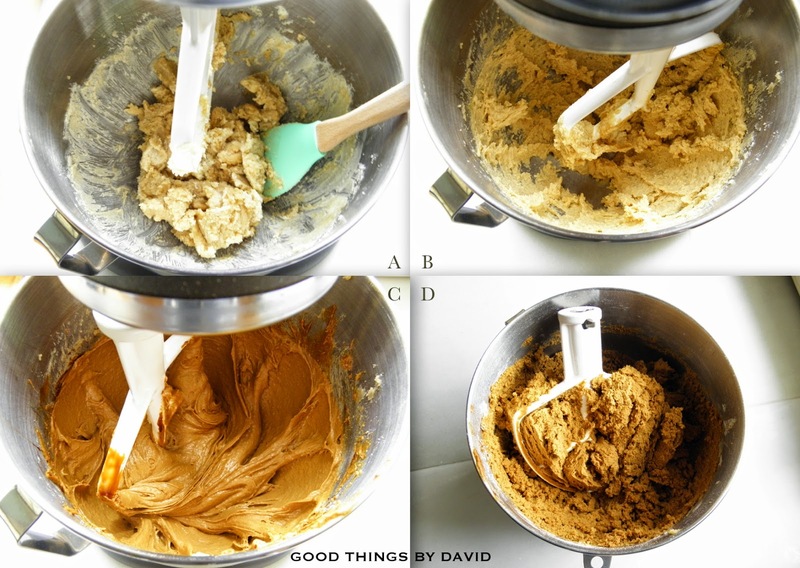 Add the dry ingredients on low speed and mix until a dough has formed (D). 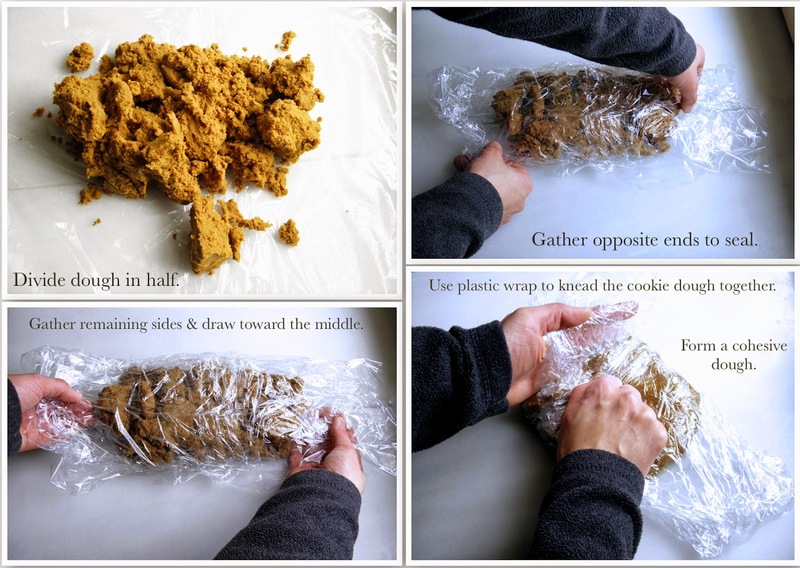 Divide the dough in half and wrap between two pieces of plastic wrap. Press the dough down with the help of the plastic wrap and form disks. The dough must chill for at least two hours before rolling out. Note: dough can be frozen for up to one month wrapped well in a freezer zip top bag. When ready to roll out between two pieces of parchment paper, lightly flour the bottom piece of parchment paper. Using the dough straight from the refrigerator, roll out evenly to 1/4" in thickness. Cut out shapes and arrange them on silpat-lined or parchment-lined baking sheets. Space shapes evenly on baking sheets, giving them 2” of clearance; approximately 6 cookies per baking sheet. If at any moment the dough softens too much, place the entire slab into the refrigerator to chill. Gather any scraps, chill them and reroll. Chill cut out shapes for 30 minutes. Bake each baking sheet for 12-14 minutes, just until the cookies have set and feel firm to the touch. Let cool on sheets for 2 minutes before transferring them onto cooling racks. Note: baked cookies will keep for up to 1 week well wrapped. Don't forget to leave St. Nick a plate of these gingerbread cookies. I think he's going to adore them.